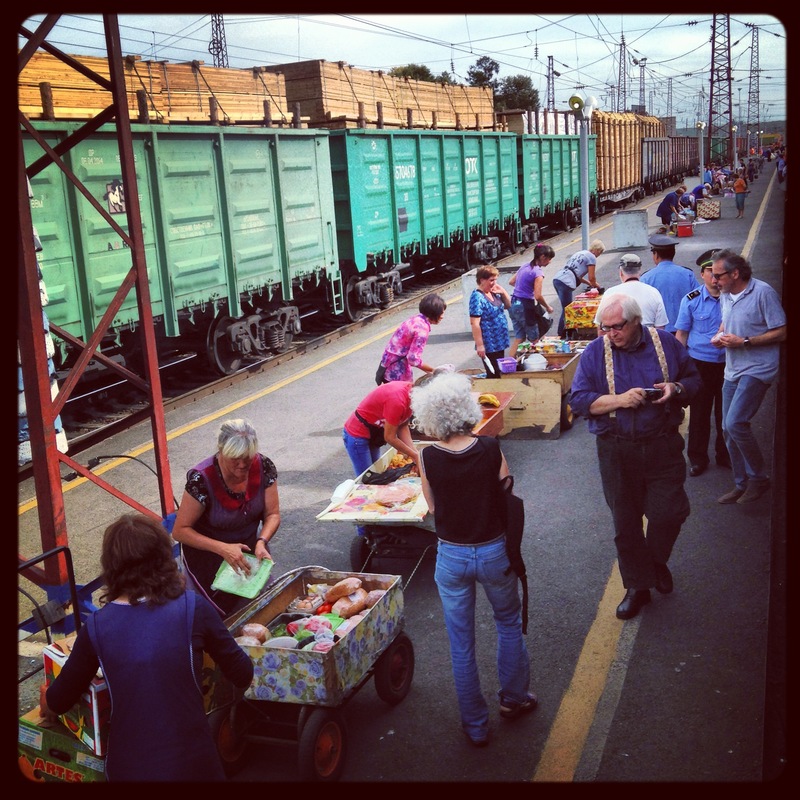 This is the fourth post in an ongoing series about a journey on the Tran-Siberian Railway my father I took in August/September 2013. If you missed earlier posts, you can read Part 1, Part 2 and Part 3. Enjoy! Trees, trees and more trees. 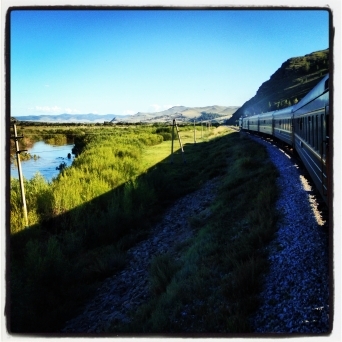 Three days in to the six-day, first leg of our Trans-Siberian train journey, the scenery thus far had been monotonous. Siberia it seems is tree-covered except for a strip cut out to accommodate this mighty railway line that runs 9,259km, traverses seven time zones and connects Moscow with Vladivostok on Russia’s east coast. A hypnotic-like state took over as I gazed out the window and struggled to comprehend we had six more days on the rails before hitting Shenzhen where we’d eventually cross in to Hong Kong by foot. Days earlier we arrived at Moscow’s Yaroslavskiy Railway Station, darkness had just overtaken day, we found our Chinese train (Russian ones make the trip too) and located our compact but comfy, two-person, private cabin. This was to be home for the next 107 hours as we crossed eastern Russia to Ulaanbaatar, Mongolia. Dad scooped the bottom bunk, we wedged belongings in every cranny, assessed the dirty washing room shared between two cabins (no toilet) and settled in to some red wine we’d brought. After asking the Chinese attendant why the washing room was so dirty and he replied, “The train is very old,” dad thankfully grabbed a cloth and gave it a once-over himself. We were planning to enjoy a makeshift shower from the sink along the way and improving conditions was imperative. I took note that it’s often better to take important matters in to your own hands to improve things as quickly as possible – good lesson dad! The reality of a long train journey for holiday is the polar opposite of almost any other. It’s an exercise in passive exploration, appreciating vast amounts of time to soak it all in versus being outside, doing and sightseeing. I quickly found myself feeling a bit ancy, but not entirely sure why. About 30 hours later I was finally relaxed and attribute the sensation to acclimatizing to this passive state of exploration, becoming comfortable with the tight environment and clickity-clack flow of the rails. Life onboard quickly became one of routine. Toilet breaks were kept to a minimum, as venturing in to the lavatory shared by the entire car was a pungent experience. Games of cards, the odd movie on my laptop and reading books filled days surprising easily as we passed through Siberia’s Taiga (thick forest). The car’s ancient samovar provided hot water for drinks and a majority of meals, which were strategically planned events. 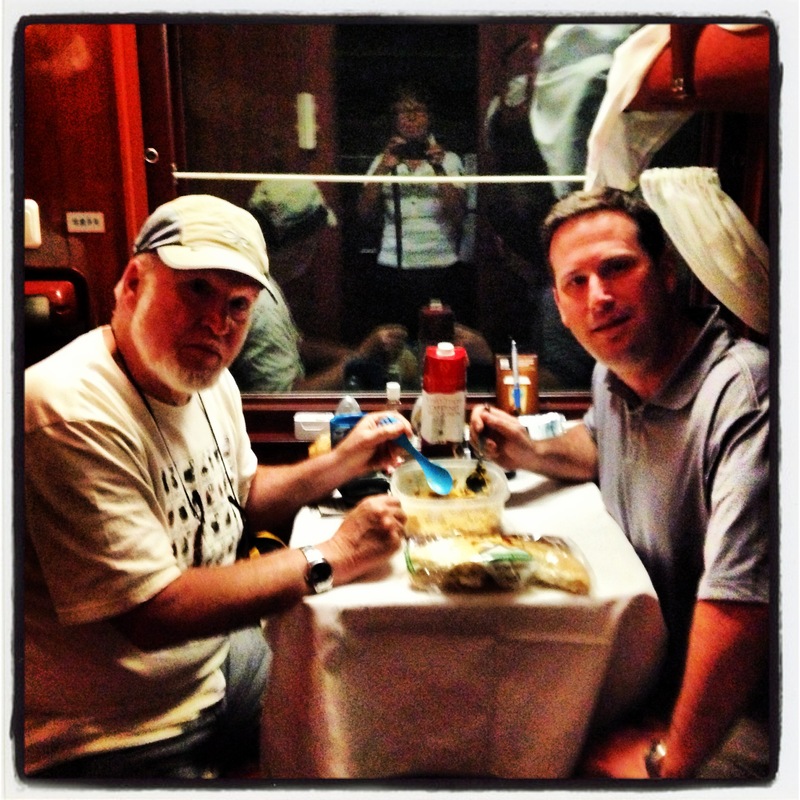 We’d brought along eight freeze-dried packs of food just in case offerings in the dining car weren’t up to snuff. And they weren’t. After one ultra-greasy fried piece of pork with cold peas for $14, we made a freeze-dried our main meal of the day. Starbucks instant coffee kicked-off breakfast (great call dad), with a variety of instant noodles and mashed potatoes, hastily purchased during one of the day’s 15-minute station stops, forming lunch. And no trip would be complete without a ubiquitous Snickers bar thrown in for a treat. An odd sensation emerged about four days in as time on the train remains set to Moscow’s, but you’ve actually moved east four time zone. It gets light and dark earlier and your eating schedule gets thrown out of whack. Moving towards the border with Mongolia it was getting dark just after lunchtime and a day later we bid farewell to our first train to explore Mongolia. A week later we were anxious as to what kind of train would take us two days further south to Beijing, crossing our fingers that it would be a bit cleaner and more comfortable than the Chinese train from Moscow. Mongolia may be slowly emerging to a global world but they have their trains figured out. Lovely dressed attendants kept the train spotless, there was one super clean toilet with shower shared between two cabins and fittings were modern. Who would have thought Mongolia would have their trains so dialed in? As we left Mongolia’s rolling steppe behind and skirted the edge of the Gobi Desert, camels became more common than horses and I marveled at how these hard-living people eek out an existence with little more than a round ger tent to call home and a few livestock – truly astonishing. Closing-in on the Chinese capital we polished-off remaining foodstuffs for an interesting meal of freeze-dried turkey tetrazzini, instant noodles and rose wine – a breakfast of champions on the rails! Our final train journey from Beijing to Shenzhen was one in the ultra-modern category. At 2,372km, it’s the world’s longest high-speed railway, taking just over 10 hours to make the journey and is one of China’s big forays into the modern world. Our second-class seats were much like that in economy class on an airplane and provided adequate comfort as we sped along at just over 300km/hr. Food was a bit limited but we made do and managed to polish-off a final box of wine that was weighing down our bag. With just over 11,000km behind us we were in Hong Kong and could hardly wrap our heads around the visual image of the path we’d traversed on the globe. In just nine days actually spent on the rails, we’d crossed from Europe across the Ural Mountains in to Asia, through Mongolia, across China and to the edge of the South China Sea. Doing so aboard a variety of trains put the scope of the journey into perspective and provided a spectacular mental scrapbook of the vast territories along the way. I’m not sure I’ll rush to take on a train trip of this scope again anytime soon but will forever cherish the time spent rolling on and along and on and on. In Part 5 I’ll share our Mongolian experience.